Pullip Lupinus and her companion release Dal Quince are part of the Creator’s Label series where Groove partners with famous customizers from around the world to release a doll in that customizer’s style. 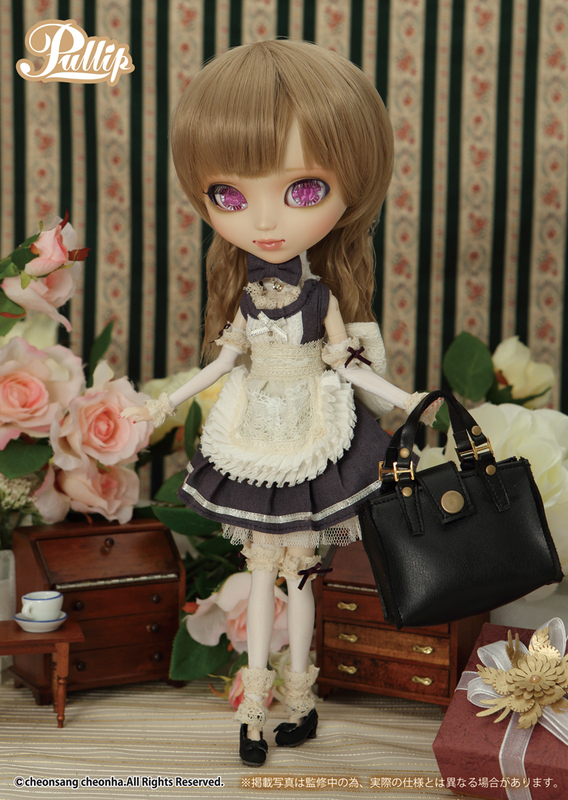 Pullip Lupinus and Dal Quince were designed by Silver Butterfly. 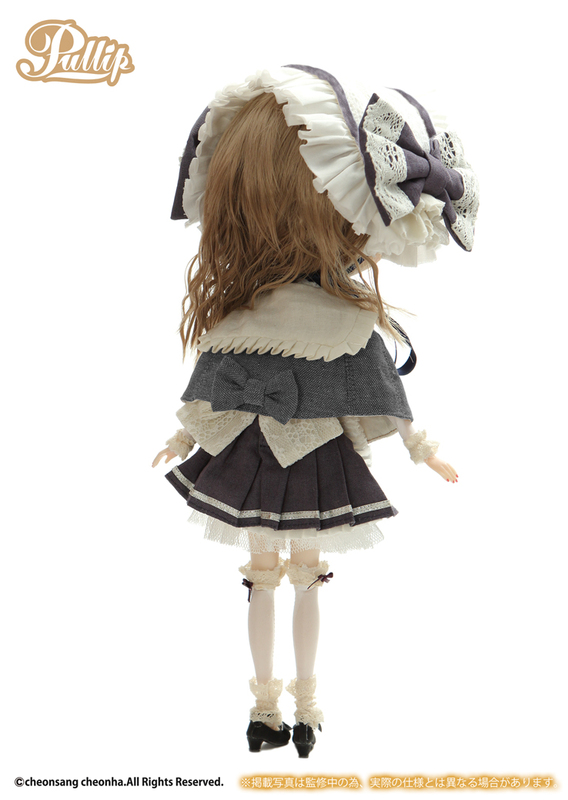 Silver Butterfly was previously featured as a part of the Creator’s Label line when they collaborated with Mitsubachi@BabyBee to design Pullip Galene & Taeyang Natsume back in 2012, Pullip Lupinus & Dal Quince are the first solo efforts in the Creator’s Label by Silver Butterfly. 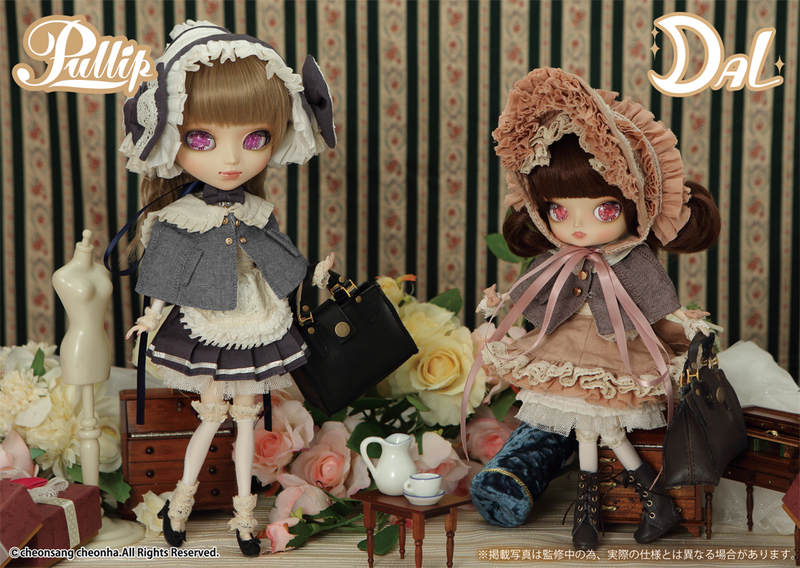 The inspiration for Pullip Lupinus and Dal Quince as reported by Groove on their blog are Bisque Dolls. 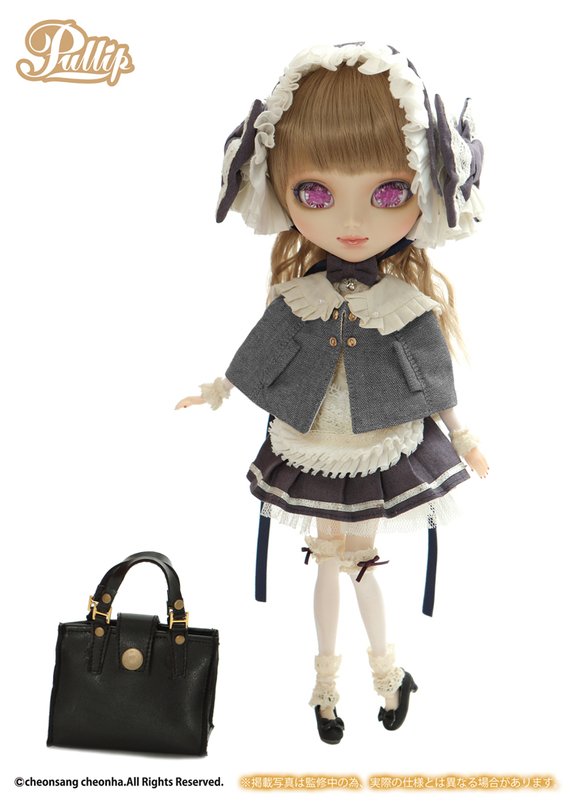 Pullip Lupinus and Dal Quince were released in November of 2016 with a MSRP of 20000 yen each. 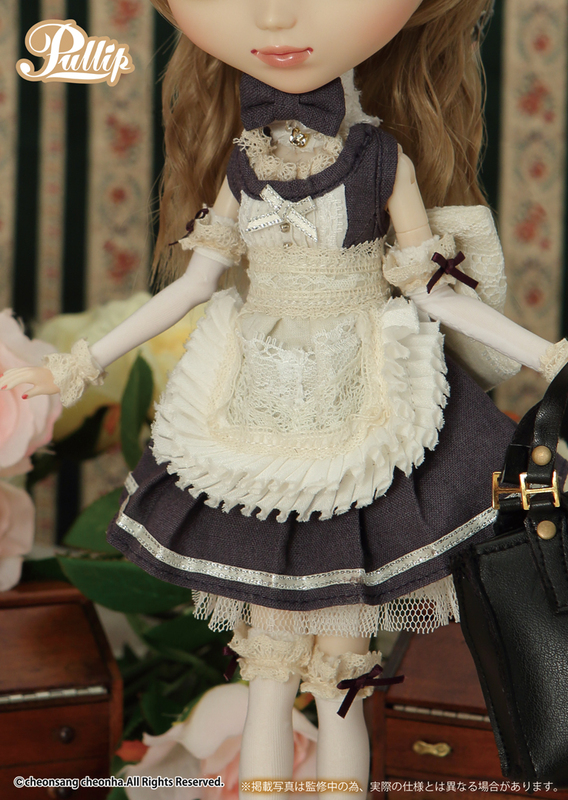 Both dolls feature the debut of a new style of flower eye chip which the Pullip community seemed to love or hate with no in between. Feel Like So: Be charmed in the beautiful world….Jump out to cut down a memory at a big bag shiningly! !….Feel Like So. 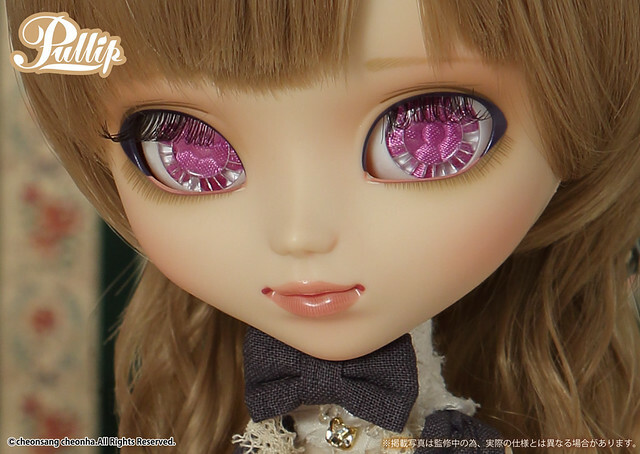 Eyes: Purple flower eyes, Lupinus features the debut of a new style of flower eyes. Eyelids: Shiny purple eyelid liner with mellow apricot eyelids. Wig: Somewhat short wavy sandy brown wig. 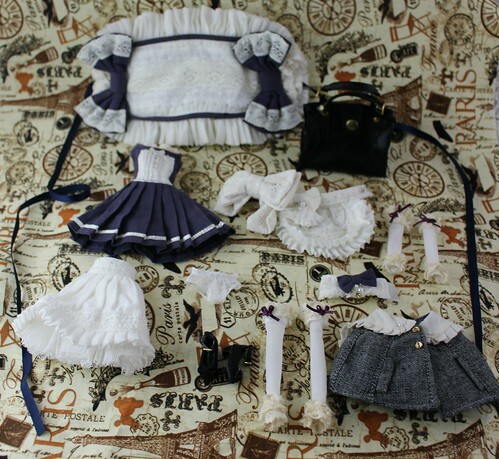 Stock: Pullip Lupinus’ stock outfit consists of a headdress, capelet, choker, arm warmers, choker, one-piece dress, apron, panier, underwear, leggings, oversized bag and shoes. Special Notes: Lupinus has a couple of noteworthy features! 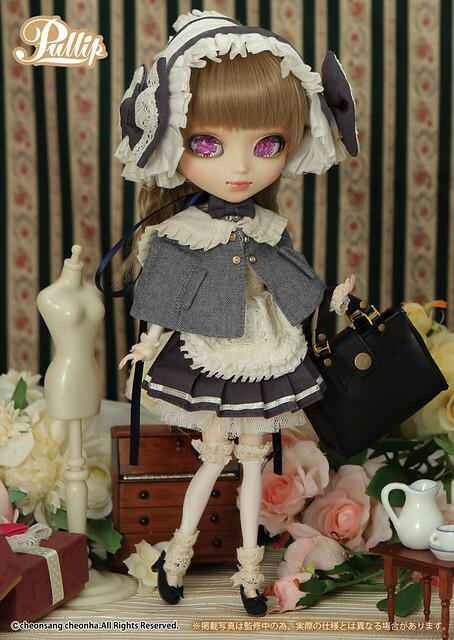 – Pullip Lupinus and her companion release Dal Quince feature the debut a new style of flower eye chip. 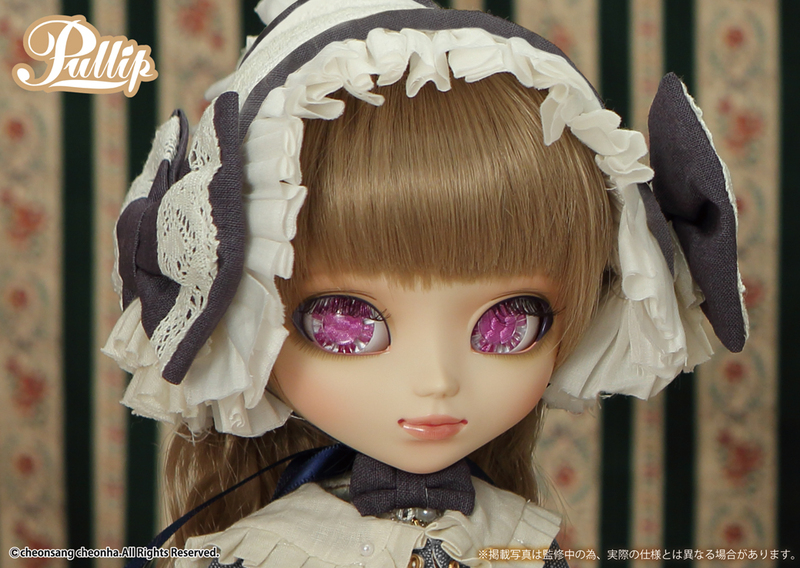 – Pullip Lupinus is the second Pullip to be released with the new style of eye mechanism that allows her to have her eyes partially open in addition to fully open and fully closed. – Lupinus has painted nails (close up below). Known Issues: Shoes can be a little loose. 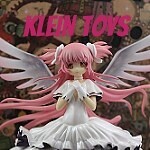 Similar Doll Recommendations: Dal Quince, Pullip Galene & Taeyang Natsume.